FOCUS ON ACCESSIBLE & CONVENIENT WAYS TO GET EMPLOYEES ACTIVE & IMPROVE THE HEALTH OF YOUR BUSINESS. Absenteeism is costing UK businesses £15 billion a year. Inactivity has been identified as the main protagonist. Surely, in an increasingly health-conscious world where the link between physical activity, a healthy and productive workforce, and business performance is widely acknowledged, this shouldn’t be happening? So, what are businesses doing to address this, who is doing it well and what more can be done? Canvassing views in my office divided opinion. Roughly half suggested that they felt businesses provide benefits in a ‘cursory’ manner; providing the minimum required to be able to advertise a ‘competitive’ benefits package. The other half felt businesses genuinely try but just haven’t figured out how to translate these into a healthier and more productive workforce. Either way, is this just perception or reality? “Only 31% of staff at large companies offering discounted gym membership were aware of the offer. Of those, 31% took it up”. One view is that organisations don’t focus on the most important aspect; changing behaviours. Simply offering lots of options, no matter how great they may be, doesn’t translate into uptake. Something more needs to be done. I’ve worked on some large-scale business transformation projects over the last 20 years and without exception, managing the behavioural change component of these is probably the most important. Clarity on objectives, getting people to understand and accept these objectives, and then soliciting support and advocacy to help deliver the required change to enable these objectives is so important. Why should uptake of health and wellbeing programmes be any different. If anything, these ‘people-focused’ initiatives are impacting everyone in the whole organisation which often is not the case for many ‘business-focused’ change initiatives. Is it because these people-focused initiatives don’t have a direct revenue or cost saving impact? In addition, these initiatives are often ‘left’ to the HR department, compensation and benefits teams, or facilities departments to take on what is an organisation-wide initiative. Whilst they may have a responsibility that focuses on people, they often don’t have the right skillsets or capabilities to affect the required change. So, treating a health and wellbeing programme like a project is one aspect to enabling improved take up. What else will help? Access and convenience. Reducing barriers is so important. For example, on-site gyms are great, however the investment cost is high and only really works for the dedicated few; the small percentage of highly motivated individuals that can get in for 6am, get their workout done before the gym starts getting busy, and are already in their first of twelve back-to-back meetings by 7.30am. For the rest, travel time, stigmas attached to going to the gym during the day, self-consciousness, feeling of intimidation of others’ physiques, are all factors that radically reduce accessibility and convenience for the employee. If it’s not convenient and easily accessible, then the majority will simply not partake. There really are some interesting things companies are doing, from providing easy access to healthy recipes, allowing users to track personal wellness goals and join group fitness challenges, to providing health insurance discounts based on activity, open nutrition lectures and free entrance to endurance events like Tough Mudder. As you’d expect, large multinational corporates such as Google provide a whole range of benefits from on-site physicians and nurses, on-site gyms and the ability to donate vacation days to co-workers who may need the extra days off. Smaller organisations are taking health and wellbeing just as seriously and are making the relatively larger investment. 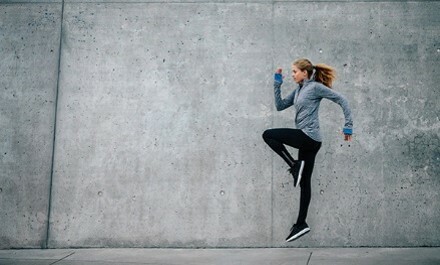 For example, TogoRun, a 62-person PR company based in New York provides all its employees with access to an on-site gym, free gym classes, fitness challenges and 24/7 access to a physician via phone or video chat. The ones that seem to generate traction and deliver tangible benefits, such as increased positivity towards work and reduced absenteeism, are those that involve building and maintaining communities, which essentially act as mini support networks, encouraging participation. Gamifying activity to encourage a little healthy competition is a known way of doing this however it’s worth noting that this doesn’t work for everyone! Some organisations have even gone as far as providing unlimited vacation, allowing employees to decide when to take time off and for how long on the basis that they know how best to recharge (bold!). So, how do organisations get it right? Focus on the individual’s circumstances. Then focus on enabling the right environment and changing behaviours. Provide access to appropriate support and services, at an affordable cost, at a time and place that is convenient for the individual. Look at what others are doing, then treat the initiative like a real project, with the right capabilities, skills, sponsorship and advocacy, governance and budget. If you genuinely believe that healthier people can contribute to better business performance, then you’ll take the investment seriously. As with exercise, just do more. Start somewhere. Start small. Focus on making it stick. Your workforce will thank you for it and you’ll soon start seeing results. It’s really that simple. Let’s be clear, whatever you decide, it won’t be the same for everyone, but some fundamentals will be; access and convenience. For more information on where to start, how to make initiatives stick and ultimately deliver business value, get in touch.